Crisp edges and uncomplicated lines give the Conway collection a simplistic, yet fashion-forward, presence. Traditional and confident style define this design and will bring these elements into any bathroom. The GROHE Veletto 1-Handle 4" Centerset in Chrome makes a statement with its elegant gooseneck spout and soft minimalist attitude. 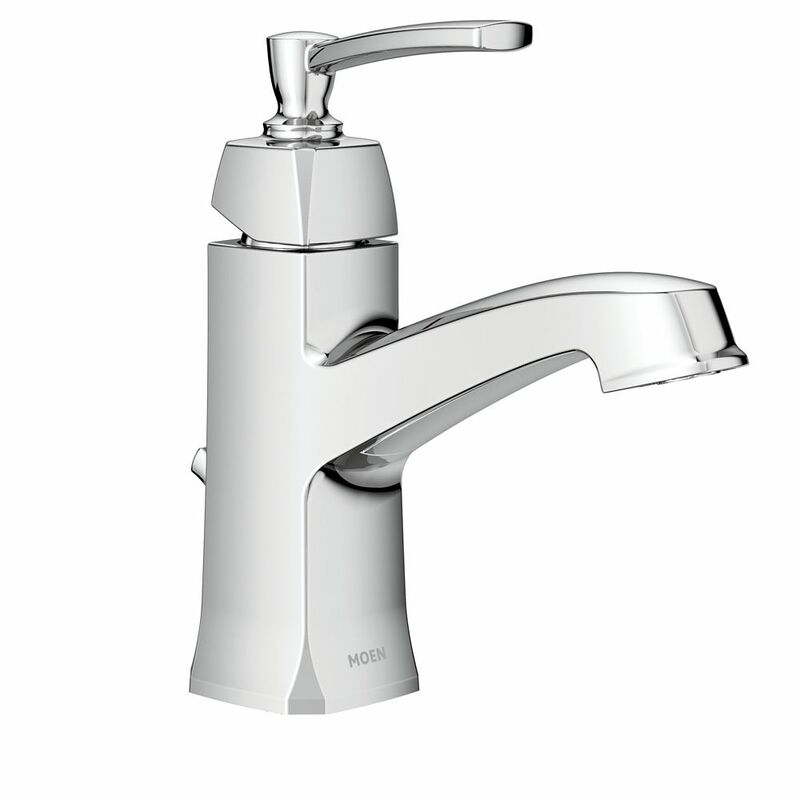 Exemplifying both contemporary European design and German engineering, the faucet operates via a side lever handle equipped with a GROHE SilkMove. cartridge for smooth, precise control of the water volume and temperature. The swivel spout provides added convenience. GROHE EcoJoy. technology saves water while ensuring optimal flow performance, and the GROHE StarLight. Chrome finish is dirt- and scratch-resistant, requiring little maintenance and ensuring a flawless appearance for years to come. Simple and elegant, the Adler 2-Handle Low-Arc Bathroom Faucet from MOEN comes in a sleek-looking chrome finish that is easy to clean. The 1.2 GPM flow rate helps conserve water, producing a WaterSense certified design for sustainable use. The deck plate mount and 1/2-inch connection make the faucet easy to install, while the 2-handle style offers an ADA compliant design that is both durable and easy to use. Conway Single Handle Bathroom Faucet in Chrome Finish Crisp edges and uncomplicated lines give the Conway collection a simplistic, yet fashion-forward, presence. Traditional and confident style define this design and will bring these elements into any bathroom.